Get outdoors at Bonorong Wildlife Sanctuary and Seven Mile Beach. Visit Cascades Female Factory Historic Site and Battery Point Sculpture Trail for their historical value. On the 28th (Wed), give your taste buds a day to remember with a local gastronomic tour. Next up on the itinerary: examine the collection at Museum of Old and New Art and indulge your taste buds at Cascade Brewery. To see other places to visit, reviews, where to stay, and tourist information, refer to the Hobart trip tool . In August, daily temperatures in Hobart can reach 15°C, while at night they dip to 4°C. 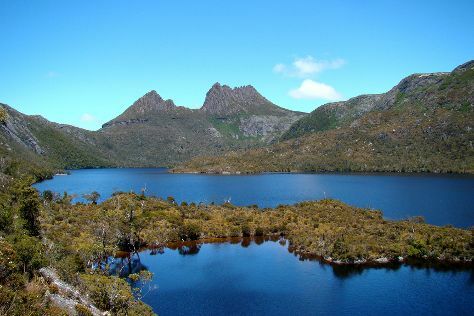 Finish up your sightseeing early on the 28th (Wed) so you can go by car to Cradle Mountain-Lake St. Clair National Park. On the 29th (Thu), contemplate the waterfront views at Dove Lake Circuit. Here are some ideas for day two: look for all kinds of wild species at Franklin-Gordon Wild Rivers National Park and then contemplate the waterfront views at Lake St. Clair. To find photos, where to stay, more things to do, and more tourist information, go to the Cradle Mountain-Lake St. Clair National Park holiday maker . You can drive from Hobart to Cradle Mountain-Lake St. Clair National Park in 5.5 hours. Another option is to do a combination of bus and car. Wrap up your sightseeing on the 30th (Fri) early enough to drive to Launceston. Start off your visit on the 31st (Sat): explore the galleries of Beaconsfield Mine & Heritage Centre, steep yourself in history at Woolmers Estate, then admire the verdant scenery at The Tamar Valley, and finally learn about winemaking at The Pinot Shop. 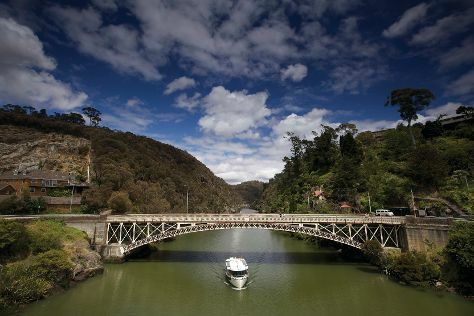 On the next day, contemplate the long history of Brickendon Colonial Farm Village, then identify plant and animal life at Cataract Gorge Reserve, then sample the tasty concoctions at James Boag Brewery Experience, and finally admire the striking features of Design Inn. For other places to visit, ratings, more things to do, and more tourist information, refer to the Launceston journey planner. Drive from Cradle Mountain-Lake St. Clair National Park to Launceston in 3.5 hours. Alternatively, you can do a combination of taxi and bus; or do a combination of car and bus. In August, daily temperatures in Launceston can reach 13°C, while at night they dip to 1°C. Finish your sightseeing early on the 1st (Sun) to allow enough time to drive to Coles Bay. Let the collections at Madd=Mudd Studio Gallery and Tasmanian Wool Centre. capture your imagination. 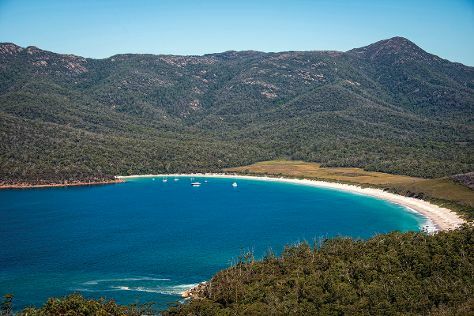 Take a break from the city and head to Wineglass Bay Lookout and Dolphin & Whale Watching. When in Coles Bay, make a side trip to see Spiky Bridge in Swansea, approximately 46 minutes away. Spend the 4th (Wed) exploring nature at Freycinet National Park. There's still lots to do: enjoy the sea views from Cape Tourville Lighthouse. To find other places to visit, more things to do, maps, and more tourist information, use the Coles Bay trip site . Traveling by car from Launceston to Coles Bay takes 2.5 hours. Alternatively, you can do a combination of bus and car; or take a bus. Cap off your sightseeing on the 4th (Wed) early enough to go by car to Port Arthur. 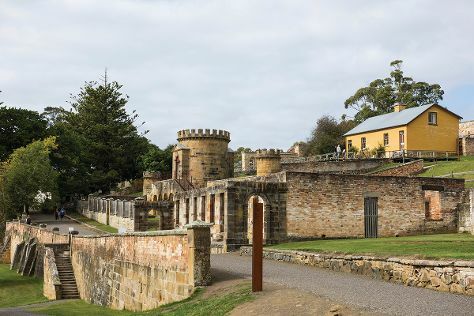 Start off your visit on the 5th (Thu): steep yourself in history at Port Arthur Historic Site, stroll through Fortescue Bay, and then see the interesting displays at Federation Artisan Chocolate - Port Arthur. 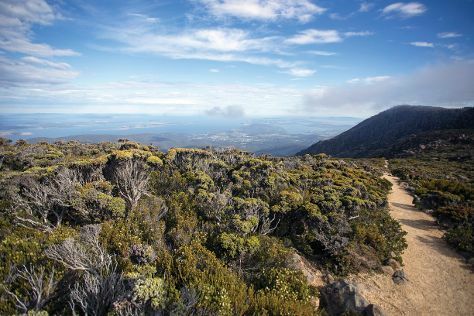 Here are some ideas for day two: trek along Three Capes Track and then get outside with Tasman Arch. For more things to do, where to stay, ratings, and other tourist information, go to the Port Arthur road trip planning tool . Traveling by car from Coles Bay to Port Arthur takes 3.5 hours. Alternatively, you can take a bus. In September, daytime highs in Port Arthur are 18°C, while nighttime lows are 7°C. Cap off your sightseeing on the 6th (Fri) early enough to go by car to Hobart. Kick off your visit on the 7th (Sat): contemplate the long history of Hobart Convict Penitentiary, explore the world behind art at Tasmanian Museum and Art Gallery, take your sightseeing to a higher altitude at Mount Wellington, then enjoy the sand and surf at Kingston Beach, and finally brush up on your knowledge of spirits at Lark Distillery. On the 8th (Sun), you'll have a packed day of sightseeing: examine the collection at Richmond Gaol, do a tasting at Every Man and His Dog Vineyard, then do a tasting at Puddleduck Vineyard, and finally wander the streets of North Hobart. To see reviews, maps, photos, and other tourist information, go to the Hobart trip itinerary planner. Traveling by car from Port Arthur to Hobart takes 1.5 hours. Alternatively, you can take a bus. On the 9th (Mon), wrap the sightseeing up by early afternoon so you can travel back home.